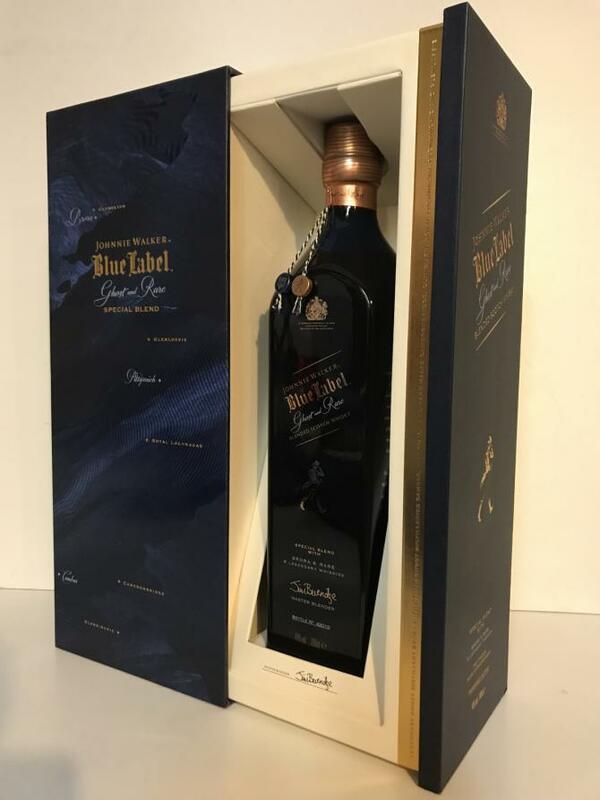 This is a wonderfully good Blue Label, in which the end result is much more than the sum of its parts. A masterpiece. Oh, by the way… the second edition will be coming soon. And the protagonist in that one will be that other trophy malt from Diageo. Yup, you’ve guessed it: Port Ellen. Start saving up. It does not happen often (at least not often enough) that I get an ‘OMG’-moment when first sniffing a whisky. This is one of those. A very rich, aromatic, complex nose on roasted pineapple, peach, oranges, joined quickly by earthy notes as if I am standing on the earthen floor of an old dunnage warehouse. And while it is impossible to guess how much Brora went in the mix, I could swear I can detect it! The typical waxiness from Clynelish is also very prominent. Loads of nuts (almonds and hazelnuts) and some honey give it an extra sweet twist. It is even slightly tropical in the background with some banana and coconut. Hint of eucalyptus. In case you were still wondering: yes, this is very complex! The arrival is very sweet, a tad spicy and quite smoky. Yellow and green fruit softly evolve towards barley sugar and nuts, upholstered with mint, pipe tobacco, garden herbs, dark chocolate, candy floss and crème brûlée. The smokiness grows. The finish starts smoky, but then quickly makes room for subtle sweet, fruity notes and some oak at the death. CONCLUSIONThis is about movement and time, flashes like memories rising then receding as others take their place. You can only get this effect by blending. In fact, it is what blending is about, and this is a masterpiece of that art. "Let this breathe just a moment before nosing and tasting. Once you're in full drinking mode, aromas of menthol, wool, and tobacco appear along with caramel and lemon zest. The volume is turned way down, however, to maybe a three out of ten on the dial. Average weight on the palate with a little bite thanks to the 92 proof bottling. Gentle peat smoke with its herbal attributes are most evident on the finish. Take your time with this one to really experience the whisky to its fullest." The nose is lovely but the palate does not even get close to the nose, it does not matter what the sum of parts are if there is a flaw and this is too woody and bitter at this price, shame. I think there is a fair bit of Glenkinchie in this, pretty sure it is higher proportion than the others, the ginger spicy aspect of the profile gives it away. The first thing to say is that this is a nice nose, plenty going on, stewed forest fruits, various woods, a little peat, honeycomb, hints of vanilla, roasted coffee. ginger biscuits. Now that is spicy, very lively indeed with the peat mixing with the sherry and spice really well, but there is a definite bitter woodiness which for me really spoils this but lets see if it settles down with a little air. The second mouthful is sweeter but even more spicy with a real ginger kick, it is a little drying, a little woody but not as much as before but still a woody after taste. This whisky starts with smooth and sweet notes on nose with caramel, sweet fruits, dried fruits, leather, minerality, light smoke more wood then peat, nuts, vanilla ice-cream. The palate is a smooth and sweet with fruits, dried fruits, oak, nuts and grass notes. The finish is a long, spicy and lightly dry with dried fruits, vanilla, oak, light wood smoke and sweet fruits notes. 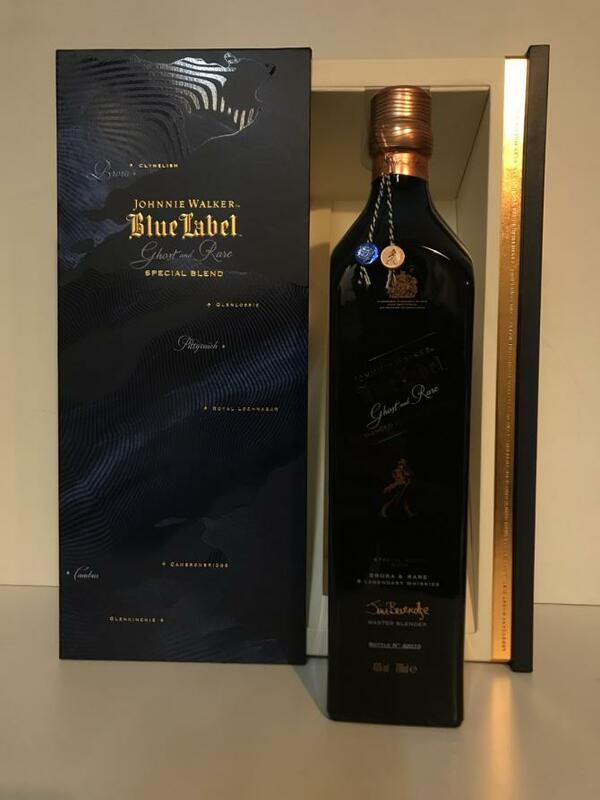 The Blue Label Brora Edition is a well balanced, smooth and tasty whisky. It would be very good for drinking with pleasure. I gave 86 points. Nose: light peated smoke, furniture polish, sweet fruits, dried fruits, muffins, spices, light cereals notes, vanilla and cream. Mouth: apples, light and delicate peated smoke, dried fruits and spices, Finish: long, vanilla, dried fruits, light peated smoke, pepper and oak. It’s a very tasty and easy drinkable whisky! This is on sale on Ocado (UK) for £110 (6th to 12th June).